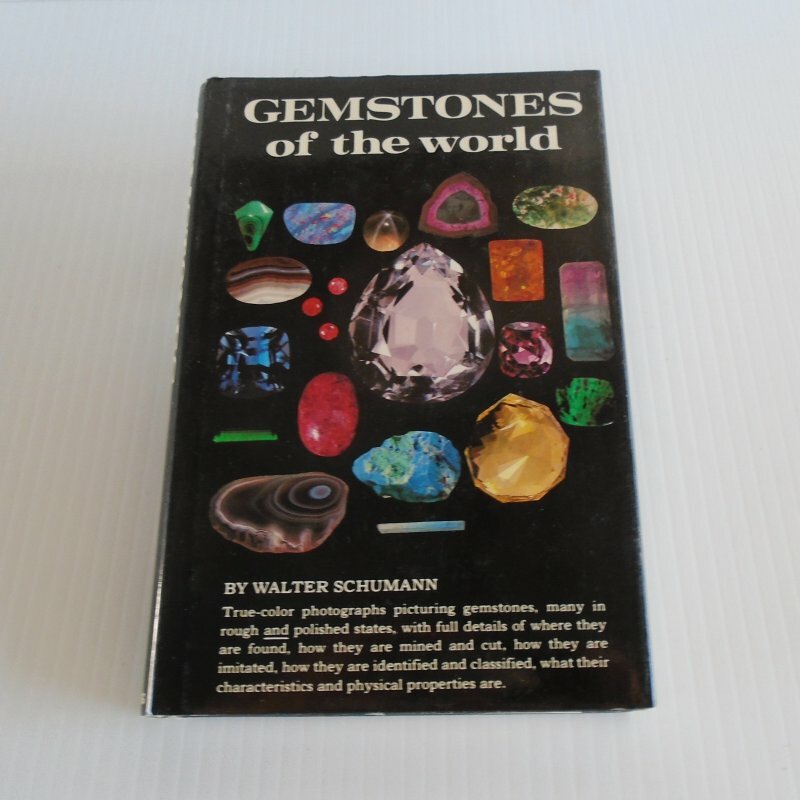 Gemstones of the World by Walter Schumann. Picturing over 1400 specimens, 256 pages. Fully indexed. True color photographs picturing over 1400 gemstone specimens, many in rough and polished states, with full details of where they are found, how they are mined and cut, how they are imitated, how they are identified and classified, what their characteristics and physical properties are. 256 pages. Excellent condition. Fully indexed. Includes several different charts with a couple being types of cuts, diameters and weights of diamonds, others.